This entry was posted on October 19, 2018 by MAV Europe. Scientists estimate that, under optimal conditions, we can live for up to 120 years of age. 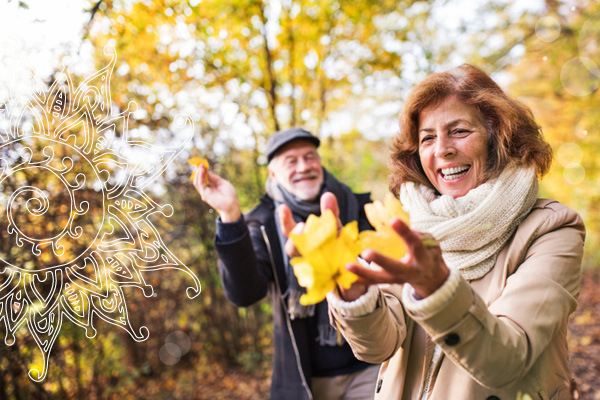 There are several things that we can do to live longer and to safeguard our health so that we can remain active in our later years and keep our spirit alive. 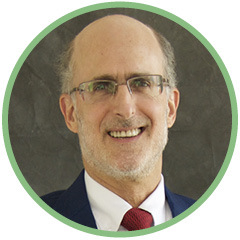 The American preventive medicine physician and scientist Dr. Robert Schneider has been tracking healthy aging for decades. Back in 1984, Dr. Schneider was one of the first medical doctors in the USA to have practiced, taught and scientifically investigated Ayurveda. The US government supported his clinical research in the fields of mind-body medicine, aging and cardiovascular disease to the tune of more than twenty-five million dollars. The results of these studies were written up in 150 prestigious professional journal articles, more than 1,000 articles in the press, and in numerous radio and television broadcasts. Dr. Schneider was an advisor to the National Institutes of Health, many healthcare facilities and commissions, and the US Congress. He has lectured at teaching hospitals, specialist societies and public forums on four continents. He is a professor and the director of the Institute for Natural Medicine and Prevention, and the dean of the College of Integrative Medicine at Maharishi University of Management in the USA. Furthermore, Dr. Schneider is the medical director of the award-winning Raj Ayurveda Health Spa in Fairfield, Iowa. For a long time people assumed that the age someone reached was primarily a question of genetic predisposition. But thanks to modern epigenetics, we now know that our genes are more a matter of basic tendencies. Which genes come into operation depends significantly upon environmental factors and, hence, upon our lifestyle. This means that we can significantly influence our own aging process by the way in which we live and thereby remain young and healthy for as long as possible. Ayurveda, the science of life, has a tradition of promoting health that has lasted for millennia. “Vaya Sthapan” describes the way to slow down the aging process and thus corresponds to what we think of today as anti-aging. A distinctive feature of Ayurveda is its holistic approach which draws on the wisdom of our own bodily intelligence and supports the mind and body from deep inside out. If we succeed in retrieving the “memory” that is present in our body, then we create an important basis for long-term wellbeing and Healthy Aging and to harmonize our doshas. For example, with advancing age we can recall how the extremely vital and healthy somatic cells, tissues and organs initially functioned in our young years. A great advantage to Ayurveda is that it takes individual dosha types into account, such that it can develop customized approaches. That’s because Ayurveda possesses the knowledge that every dosha type ages in a completely distinct manner. Regardless of whether we are a mobile vata type, a fiery pitta type with keen understanding, or a persevering, patient kapha type, our dosha type shapes our mind and body. If you would like to find out what your dosha type is, then you may link to our dosha test here. By reducing stress, we can stop its negative effects and partially reverse them as well. Digestion plays an important role in our health. Our sleep quality affects our quality of life and longevity. According to Dr. Schneider, if we create balance in these areas, we raise our personal Aging IQ and thereby hold the key to a long life. Human beings live appreciably longer in some regions of the world. Not only do they remain physically and mentally fit for longer, they also feel better and are socially more engaged. Our article “Ayurveda and Exercise” provides suggestions. Ayurveda recommends that we avoid overeating and defines what a meal should consist of: 50% solid food, 25% liquids; 25% of the stomach should remain empty. This leaves room for the stomach to process the food and keeps digestive problems from arising. 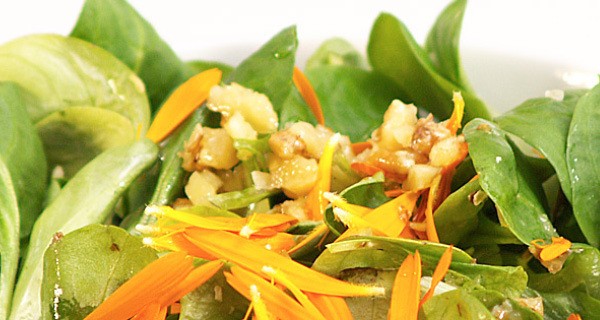 You will find additional ayurvedic nutritional insights here. A variety of fruits and fresh organic vegetables, legumes as a vegetarian source of protein, whole grain products, and healthy oils are ideal. Maharishi Ayurveda® recommends practicing twice daily Transcendental Meditation® (TM). This is a proven means of lowering blood pressure; it also reduces the risk of heart disease and strokes by nearly half, and noticeably lowers one's biological age – by twelve years on average after practicing for five years! Even more decisive than stress triggers themselves is the way in which we respond to stress. You will find additional tips on dealing with stress from the Maharishi Ayurveda® perspective here. Anxiety not only affects the immune system but the endocrine and digestive systems as well. This can lead to high blood pressure, heart disease, diabetes, and psychological disorders. More than 600 studies, conducted at over 250 universities and research institutes in thirty-five countries, confirm that practicing TM has positive effects on many areas of life. What would you like to achieve in your life? What are your most important values? Set your goals and live accordingly! Support and foster personal relationships and accept help. Make time for family, friends, and the people around you. Strong personal relationships contribute appreciably to good health and longevity. Dedicate yourself to universal knowledge, and to the wisdom and writings of your religion or spiritual tradition: fellowship with others does good. According to concepts in Ayurveda, aging begins in the mind, which in turn affects our body and emotions. Do not put yourself under pressure. Always maintain a balance between active and restful periods. Do not overexert yourself – make definite and clear plans for relaxation, free time, play, fun and enjoyment of life. Do not overwork yourself. Optimism has a favorable impact on longevity. Look at problems as an opportunity for progress and inner growth. Reflect and view each situation holistically and empathically. Those who do good for others also noticeably benefit from same. Regular eating and sleeping regimens promote sleep and digestion. 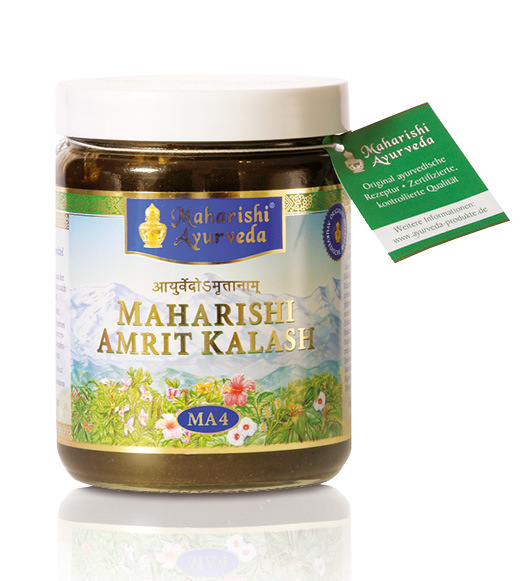 Maharishi Ayurveda® recommends fresh preparation of freshly harvested organic food that is not genetically modified. Meat, processed foods, caffeine and alcohol should be avoided to the extent possible and only consumed in small amounts. To supplement healthy nutrition, you can use herbal mixtures produced according to traditional ayurvedic recipes as food supplements. In addition, Maharishi Ayurveda® knows of an entire series of rasayanas that are geared towards specific groups, such as those for children, students, women and men. Dr. Schneider’s preferred rasayana for all dosha types is Amrit Kalash. We wish you a sense of enjoyment and accomplishment in response to these ayurvedic recommendations. We hope that they will help you to remain fit and healthy for a long time to come!